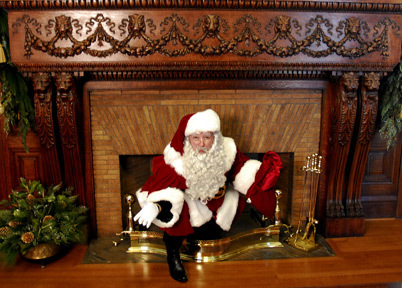 The Singing Santa Claus is a professional entertainer, experienced actor, and an accomplished Baritone. 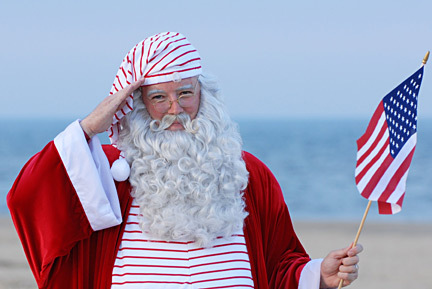 He is a graduate of the Charles W. Howard Santa Claus School, the St. Nicholas Institute and an original Member of the ClausNet Santa Claus Community. The Singing Santa Claus has appeared at numerous tree lightnings, corporate events, and on several local and national television programs. He is so convincing in his role that even his own children do not recognize him. The first thirty years are just a beginning for Singing Santa Claus! His constant ambition to be the Best Santa Claus ever is a constant work in progress. His dream is to one day be the Santa Claus for the Macy’s Day Thanksgiving Parade. A dream he knows will one day come true with hard work, a love of Christmas, and a hearts desire to share that love with children both young and young at heart. To find out if Santa Claus is available for a visit with you, contact Santa’s Helper Tom Long today!